And both new and used. 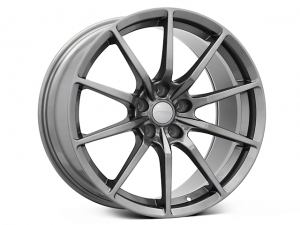 30 cases of administrative offenses when importing aluminum wheels from China and the United States was initiated by the Vladivostok Customs from July to October 2018. This was announced by Deputy Head of Customs for law enforcement service Valery Raskolov. When aluminum wheels are imported into Russia from China and the United States, a license issued by the Ministry of Industry and Trade of the Russian Federation must be submitted to the customs authorities. The absence of such entails administrative liability with the imposition of a fine on legal entities - from 50 thousand to 300 thousand rubles. with confiscation of goods. The same fines are provided for providing in the customs declaration unreliable information about the quantity, name, customs value, country of origin, properties and characteristics of the imported wheels. For 9 months, 2018 delivered 9,2 thousand tons of wheels through Vladivostok customs, for a total of $ 49,2 mln. Licensing has been introduced for the import of wheels originating from countries that are not members of the Eurasian Economic Union and contracting parties to the Geneva Agreement. A license is required when importing both new and used wheels.